Better than glass and not simply plastic; BetterBottle carboys are special – •Light weight and safe to handle •Crystal clear and colorless •Negligible oxygen permeability •No taste or odor •Exceptional stain resistance •Smooth, non-porous, non-absorbing, hydrophobic surfaces do not carry over flavors (flavor scalping) and wash easily •Superior tolerance to cleaning and sanitizing agents. 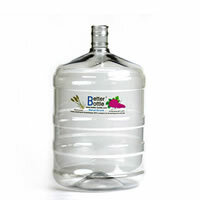 Specialized PET – BetterBottle carboys are made with specialized, scientifically tested polyethylene terephthalate (PET) resin, which does not have the disadvantages that make other plastics unacceptable for fermenting wine or beer. The specialized PET is made with virgin materials containing no bis-phenol-A (BPA) or plasticizers (DEHP etc.). This is important, because PET made from recycled materials may contain traces of such endocrine disrupting chemicals (EDCs) and is not as durable. BetterBottle PET meets FDA requirements with a Kosher statement. For more information about BetterBottle materials, cleaning/sanitizing, permeability, and purity refer to the Technical tab at the top of this page. Specialized Manufacturing – Making a BetterBottle carboy requires more than the specialized, virgin PET resin. The manufacturing equipment and methods must also be specially optimized in order to achieve durability and low permeability. The molecules of PET must be stretched and tightly packed and it is necessary to achieve a delicate blend of microscopically small crystaline and amorphous regions.1 BetterBottle carboys are made for use in scientific and medical laboratory applications and as fermenters for home winemaking and brewing. They can be, and are, widely used for potable water; however, they are made to higher standards than carboys intended primarily as containers for potable water. 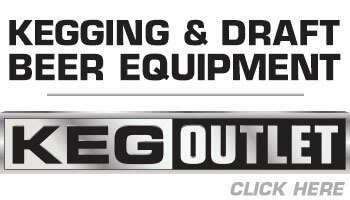 For more on why all PET carboys are not equal, refer to the FAQ tab at the top of this page and view the BB vs. Plastic section). 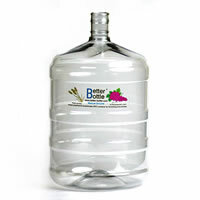 Designed for Ruggedness and Convenience – Unlike glass carboys, BetterBottle carboys are essentially unbreakable, extremely light weight (about 1.5 lbs [~0.68 Kg]), a pleasure to handle, inexpensive to ship, and easily stored. Strategically placed, carefully designed, and externally textured ribs make BetterBottle carboys easy to grip when full, much stronger, and far more dent and scuff resistant than they would otherwise be. The smooth inside walls of the ribs do not trap sediments or in any way interfere with washing and sanitizing. Concave, punt-style bottoms facilitate racking and also contribute greatly to the strength of the carboys and ease of handling. 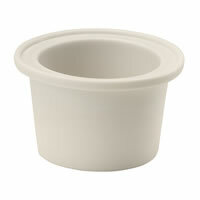 Precision molded necks are: 1) Wide, so filling is convenient; 2) Uniform, so a variety of closures fit consistently; and 3) Extra strong, so handles can be attached and used with confidence. 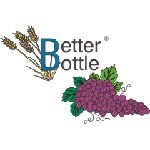 BetterBottle carboys are available either plain or ported. The ported versions are used with BetterBottle Racking Adapters and quick-disconnect SimpleFlo™ valves, which eliminate the need for siphons and make oxygen-free racking simple. For additional important information relating to the design, use, and handling of BetterBottle carboys check out the How-To Tips tab at the left side of this page and the Technical tab at the top of this page. Graduation Marks – BetterBottle carboys are not graduated, because graduations on containers that are wide (relative to their height) and somewhat elastic cannot be read with sufficient accuracy to be consistent with science or careful winemaking and brewing. Small addition volumes should be measured using volumetric ware and large addition volumes can be measured far more accurately using a good-quality parcel scale, which can be easily calibrated using the density of water. For information relating to density and volume conversion factors refer to the Units of Measure – Volume/Weight section under the Technical tab at the top of this page.